Razer’s been busy. The erstwhile peripheral maker took some time away from tinkering with mice and keyboards to create gaming laptops and Windows 8 tablets, and now they’re dabbling in the VOIP space with Razer Comms. Comms has a very simple premise: tear down the walled gardens that keep PC gamers from communicating easily and effectively, without requiring them to Alt + Tab out of the action every time someone wants to send them an instant message or give them a call. Razer Comms entered public beta yesterday, but has already proven to be a well-polished stab at the competitive VOIP space. The beta is a free download (though you’ll need to create a free Razer account if you don’t already have one) and only available for Windows machines. Razer Comms overlays most contemporary PC games. The Comms app window consists of four tabs for your friends, groups, games, and notifications. The app will automatically pull together a list of games that are installed on your PC, and while it isn’t perfect—my copy of Planetside 2 was listed as DC Universe Online, a game I’ve never played—it’s ostensibly a convenient way to get launchers for all of your games in on place. Steam already does this very well, but if you’d like another option that isn’t tied to that digital marketplace then, well, here you go. You can hide individual entries in your games list should it prove a bit unwieldy, select favorites that will appear in their own private section, and toggle support for the Comms’ raison d'être, the in-game overlay. The overlay will place chat windows for conversations and the like directly over your game when summoned (the default shortcut is Ctrl + Tab), allowing you to keep tabs on your buddy list or start conversations and VOIP calls without leaving your game. The overlay will only steal focus from your game when you click on it, so you can keep chat windows up while you play, or simply open and close it at your leisure —optional notifications will let you know when someone’s trying to get a hold of you. Of particular interest are Razer Comms’ groups. If you’ve used an established VOIP platform like Ventrilo or Teamspeak, you’ve probably already familiar with connecting to a particular clan or guild’s server, hopping into the right channel, and then chatting with your friends. Razer Comms works much the same way, though there are no servers. Just create a public or private group and you’ll be able to create individual chat channels (for particular games or raid groups, for example), have voice and text conversations, or create administrators with moderation privileges. The feature list and interface isn’t quite as robust as something like Teamspeak, but it gets the job done at a palatable price (free). 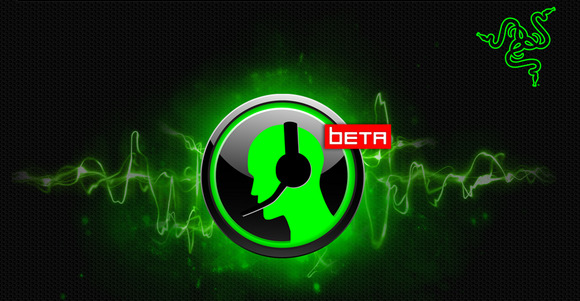 Razer Comms is free to try, but it's still in beta so be ready for bugs. The service is only in beta, but it works rather well: after convincing a friend to give it a shot, I gave them a call and proceeded to play games and just chat casually with nary a hint of latency issues throughout our conversations. Much of that is owed to my capable PC and decent broadband connection here in San Francisco, but Razer Comms’ technology certainly doesn’t fail to impress at first blush. The software is definitely still in a beta state, but shaping up rather nicely. It’s simple and fairly attractive—Razer loves that black on green motif—but the overlay can be a bit sluggish in-game. I’m also getting a bit frustrated with in-game overlays in general. Try firing up Assassin’s Creed III: there’s one overlay for Ubisoft’s Uplay, one for Steam, and one for Comms, all shooting off the occasional notification on screen. This of course isn’t Razer’s fault, but kind of a hassle all the same. Razer’s built it; will the gamers come? That’s questionable: A free VOIP service from a company gamers are likely familiar with is a tantalizing prospect, but so many of us have been using apps like Teamspeak and Ventrilo for years. Monthly fees and server addresses might seem daunting to the uninitiated but established VOIP platforms offer a legacy of reliability and familiarity, and a slew of additional features for large gaming groups. That said, it’s hard to beat free. But there’s no word on how long this will stay free: the beta offers unlimited voice calls and only serves up a single advertisement along the bottom of the application’s window, and I can’t imagine this is a sustainable business model. But what do I know — head on over to Razer’s site and give Comms a go for yourself. If you can’t convince friends to take the plunge, there are already plenty of public groups popping up out of the woodwork. This story, "Razer Comms disrupts the VOIP arena with a free public beta" was originally published by TechHive.